Quest University will no longer have a varsity program at the university once the basketball season ends in March. The student body, including its athletes, were not consulted on the decision. 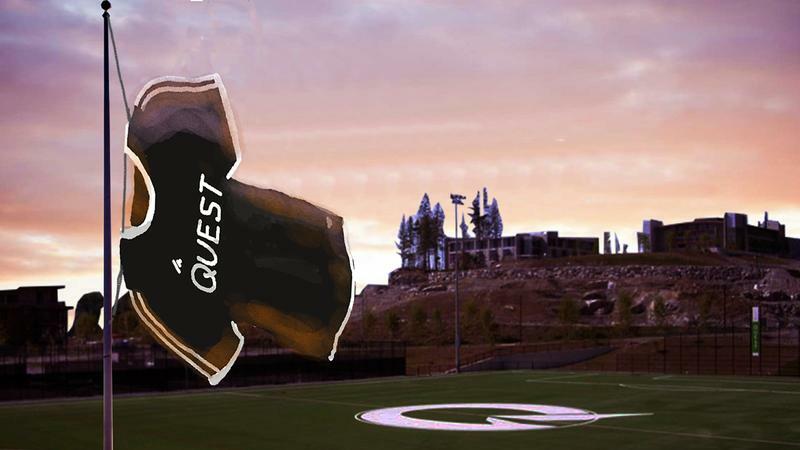 Announced on February 1, the Squamish-based private university will be cutting its soccer and basketball teams — what makes up its current varsity availability — to “ensure resources go toward initiatives that optimally align with Quest’s mission, vision, and values,” and better benefit the larger community of Quest University. These wellness initiatives could include deeper commitments to sports clubs and intramurals, improvements to Quest’s current recreational centre — the RecPlex — health and wellness programs or shuttle services to recreational spaces. The decision was made by the school’s Board of Governors on January 13, CBC reported. Sixty athletes, roughly 10 per cent of Quest’s population, now face the choice of staying at Quest without their sport, or moving on. According to Quest President and UBC alumnus Iwama, the questions surrounding the athletics program have been swirling around since before his term began at the school last September. It is believed students and the Quest community were engaged in the conversation prior to his arrival. According to Brodan Thiel, a former player and assistant coach of the Quest men’s basketball team, rumours of the idea were not uncommon throughout the athletic department when he was there. That said, talks around the future of varsity athletics quieted down until that board decision in January. As for why, Iwama cited financial pressures as a partial reason for the end of the varsity program. “I was quite clear that there are … limited finances and Quest University certainly doesn't have a financial situation that’s out of the ordinary with regard to other universities in terms of the assets we have and the debts that we owe. Our big difference is that our income comes from largely the tuition [of] our students, as we don’t receive any government funding,” Iwama said when asked about the financial situation. When asked to elaborate on the CBC cited $300,000 to $400,000 currently invested in varsity yearly, Iwama stated that it goes even further than those figures. Within the Quest community, many athletes, students and supporters have voiced their disapproval. An online petition was started mere hours after the announcement and spread across social media channels; it now has over 300 online signatures, from athletes currently on the Quest teams to supporters. “It was extremely devastating to learn that such a life changing decision was made for us, without even the consideration to let not only the athletes, but also coaches know in advance, or have any say." Jordin Wilkinson, captain of the women’s basketball team at Quest and third-year student, voiced her worries about her athletic future on the petition. For Thiel, the backlash from the athletics community comes as no surprise. The decision has even made news out east, with student newspapers like The Charlatan sharing the story. The disbanding of varsity teams at Quest University bears resemblance to a similar controversy UBC faced just four years ago: the UBC sports review. Varsity teams were subject to scrutiny by a board that included faculty, administrators, students and alumni, through a lengthy process that was highly publicized on campus. The goal was to determine which teams fit well with UBC Athletics’ goals and which did not, and to adjust funding accordingly. Throughout the review, UBC’s varsity programs were assessed based on competitive success, competition and progression, supports for competitive success, community support and tradition, partnerships, and their fit with UBC’s overall mission. Teams that were identified to have performed well enough by these criteria were permitted to maintain varsity status under one of three categories: those who were most able to excel on criteria and would receive more funding, those who sufficiently met criteria and would continue under the status quo and those who underperformed but could continue under alternative funding plans. Teams that did not meet the criteria well enough to fall under one of the three varsity status categories were selected for reassignment under a newly unveiled “competitive club” banner. The competitive club model was introduced as a new initiative through the sports review process. Consistent with the goal to increase student participation in competitive sports, competitive clubs provided the opportunity for teams to compete but without the privileges and funding of the varsity label. Competitive clubs do receive school support for things like coaching, national championships and competitive enhancements, but are are otherwise funded through club initiatives. Following the review process, nine teams were left in limbo, including four that needed to remodel their funding to maintain their varsity status. The five remaining teams were designated for re-assignment as competitive clubs: men’s and women’s alpine skiing, men’s and women’s nordic skiing and softball. 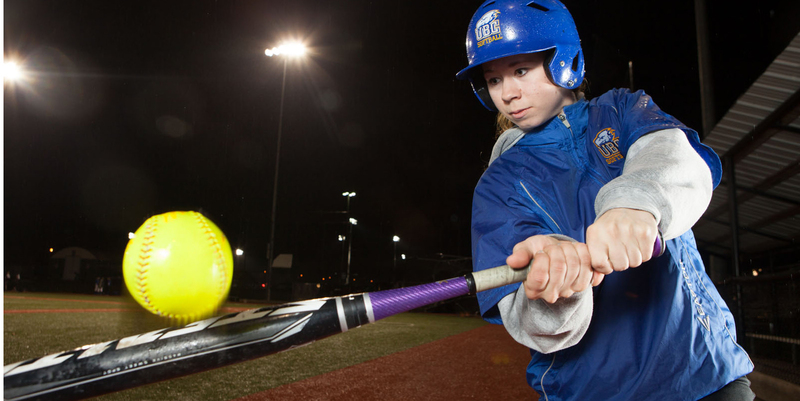 Competitive club status would not mark the end for softball as a varsity team, however. After a long review process which included finding more team funding and stronger recruiting, the team was given back their varsity status in 2015. So this goes to show that it can be done — it is possible for a demoted team to demonstrate that they are worthy of school funding. But does the manpower of a small, private university in Squamish have the ability to overturn the decision of their Board of Governors? For Iwama, that type of decision reversal is just not feasible. As stated in the press release, Quest has pledged to support its current Varsity athletes as the school moves ahead in the process of disbanding their program, helping them remain at the university if they so choose. This will include, as explained by Quest University’s athletics communications coordinator Jasmine Aimaq, the continued financial support for those students receiving athletic scholarships for their education. The school will also waive any transfer fees for those students intending to relocate. That said, Thiel cautions those athletes intending to transfer to consider their options before jumping in the deep end. “Really think about the decision that you’re making before you leave. Is the opportunity elsewhere going to present itself, and be better than graduating in one or two years, and then moving on from that?” he said. Going forward, consultation with the larger Quest community will be a priority. A working group will be instated to define how funding with be reinvested. Iwama also hopes that the fundraising nature of the varsity community will continue over into their clubs and intramurals as the focus shifts towards those programs on campus. For now, Quest and its community is still wrapping its head around the imminent change.